We are Providing the best Manually 30 Days SEO Link building White Hat SEO Package to improve your Google and other search engine ranking. We will run our BEST SEO strategy and Create High-Quality High PA 20+ -DA 20+ Backlink daily for one month So why you are wasting time in other just try other best SEO package and get the best result. In this package, we will make EVERY DAY new backlinks using High PA DA site for you so your site will be getting daily high-quality backlinks. you will get with this service? 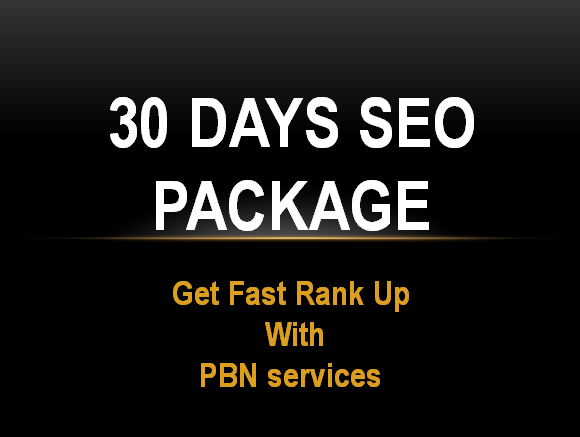 30 Days SEO Link building daily White Hat SEO Package 2019 with PBN web.2.0 backlinks & many more is ranked 5 out of 5. Based on 2 user reviews.